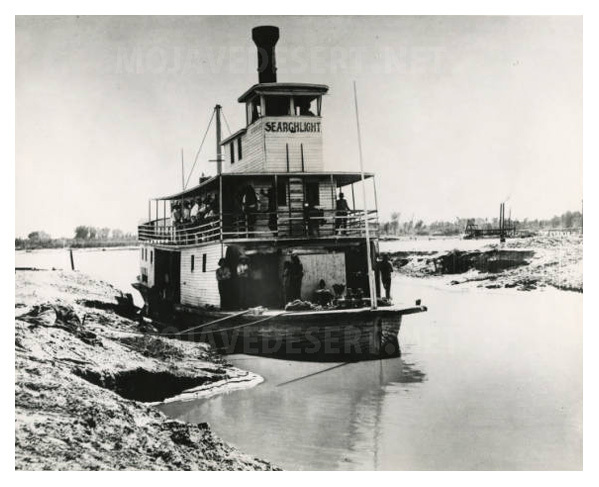 Despite sandbars and rapids, commercial steamboats regularly traveled the river from the 1860s until the late 1800s. Colorado River steamboats were not fancy like those of the Mississippi River. They were plain and functional. Travelers had to put up with the uncomfortable heat. One passenger commented that "the wooden arms of the chairs seemed like they were slowly igniting." The railroad's inexpensive freight rates began putting the steamboats out of business. The final blow came in 1909 when the Laguna Dam near Yuma was completed. The last steamboat on the river was the Searchlight which continued to paddle along until 1916.